Focus on shooting, not the cold ground, mud, and rocks that you might be laying on. 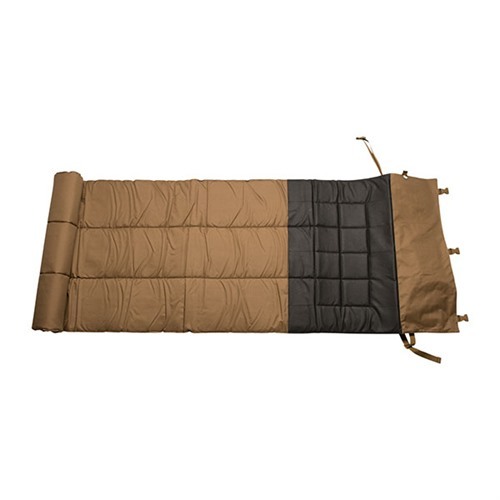 The Bob Allen Tactical Shooting Mat is constructed of a water resistant coated poly with poly webbing, a non-slip rubberized surface, and closed cell foam for comfort. 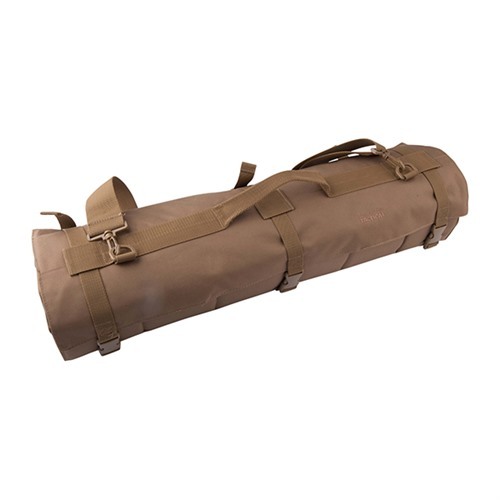 The Shooting Mat rolls up for easy storage and carry. SPECS: Color is Tan, Dimensions: 27" x 85"
Got this on Sale at Brownell's. I have used it about a dozen times on concrete and in the brush. It is durable, comfortable and lightweight. I love the fastex buckles on the retention straps. I have owned mats that cost three times what this mat cost that were not as good. I have been using this mat for Appleseed events, both for myself and as a loaner. It isn't he widest but it is very comfortable to shoot from (enough padding), cleans up well, is lightweight, and is attractive. Would highly recommend. Časť - Výrobcovia: 79021 617867117767 Zamerať na streľbu, nie studená zem, blato a kamene, ktoré by mohli byť položenie. Bob Allen taktickú streľbu Mat je vyrobená z vode odolný potiahnuté poly s poly popruh, pogumované non-sklzu povrch a uzavreté bunky peny pre pohodlie. Streľba Mat vyhrnie pre jednoduché uskladnenie a prepravu.